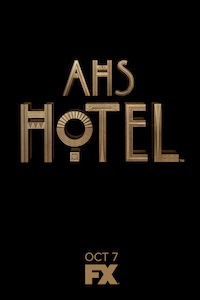 The AMERICAN HORROR STORY franchise traditionally has a great amount of secrecy pre-premiere, but at the show’s Television Critics Association panel for HOTEL, co-creator Ryan Murphy shared new details about what to expect from the show’s fifth installment. But how many episodes the final season will consist of is slightly up in the air. Fox boss Kevin Reilly had initially indicated that GLEE would handle series star Cory Monteith’s death by having his on-screen character, Finn, die in a way that touched on real events (Monteith died due to an accidental overdose), GLEE co-creator Ryan Murphy has shared the series won’t be heading in that direction. Personally, I’m really, really happy the show is going this way. But what do you think? When actors take a role on a television show, that usually means committing to (hopefully) years of playing the same character. But for those who have been a part of FX’s AMERICAN HORROR STORY — which, by its very nature of storytelling, shifts to a brand new tale every season — they get to change up what kind of character they play with every new season. Between Ryan Murphy’s three current shows (GLEE, AMERICAN HORROR STORY, and THE NEW NORMAL) and the ones that have been off our air for a while (NIP/TUCK and POPULAR), there’s no question that he’s worked with some incredible talent over the years. John Stamos makes his debut on THE NEW NORMAL in tonight’s brand new episode, he brings a whole new complication to the show — just how reliable is “gaydar”?